SMOKE BOMBS, SMOKE GRENADES AND SPECIAL EFFECTS SMOKE - CANADA Enola Gaye Colour Smoke Grenades are ideal for Paintball or Airsoft or for use as Special Effects Smoke in Film, Television and Photography. Enola Gaye Smoke Grenades are Cold-Burning and are activated by Wire-Pull Ignition--which means that you can dispatch them quickly and safely in any situation. Enola Gaye Grenades come in 7 colours and provide numerous options for camouflage, distraction and scenario events. Enola Gaye Smoke is also used in Canada for Police, Fire and Military Training, HVAC Testing, etc. Buy Smoke Grenades in Toronto. 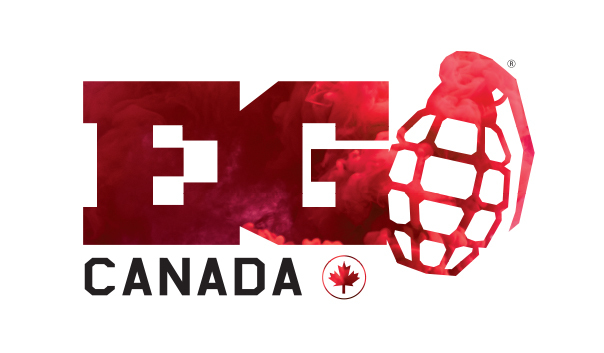 Order Smoke Grenades Online for delivery across Canada! Save on shipping: buy Enola Gaye Smoke Grenades at your local Field or Pro-Shop! See our Canadian Dealer Locator for details. BUY SMOKE GRENADES IN CANADA! Enola Gaye Smoke Grenades are ideal for Paintball, Airsoft, Special FX use in Film or Photography, HVAC Testing, Emergency Services Training and more! All EG Smokes utilise Wire-Pull Ignition--which means there is no need to carry matches or lighters into the Field. EG Smoke Grenades provide superior colour and coverage, which will give you the edge you need to win the game! Enola Gaye Smoke Grenades are now available in Canada! Shop at our year-round store in Toronto. Order Smoke Grenades online. Buy Smoke Grenades at your local field or pro shop: see our Dealer Locator for details. Looking for Fireworks? Shop at Rocket.ca in Toronto, ON or Order Fireworks Online for delivery across Canada!